KITCHENER, Ont. 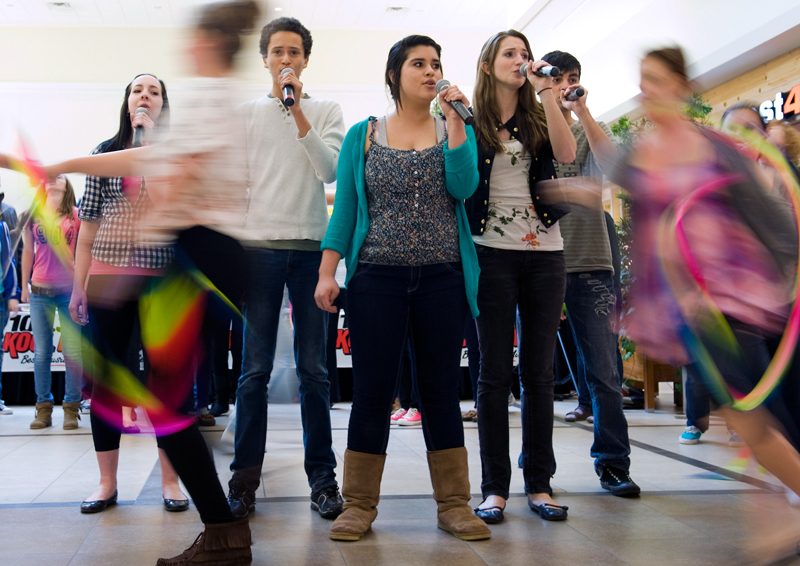 (28/04/11) -- Members of KW Glee perform a cover of the song "Firework" in Fairview Park Mall as part of the kickoff of the 17th annual 105.3 Kool FM Poster Boy Campaign on Thursday, April 28. Kool FM news director Brian Bourke will be camped out at Poster Boy Central inside the mall until Monday to raise money for the cancer centre at Grand River Hospital. Shannon Storey, Record Staff.